It is important to remember that when soil expands, it expands in all directions and which can cause horizontal foundation movement, or lateral movement in the foundation. 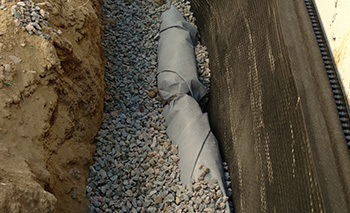 When soil expands, the expansive force is too great for your foundation, it can push your foundation walls sideways, causing them to lean out of plumb, bow in the middle, crack, and, if left uncorrected, eventually fail. Cracking in the wall itself, a long horizontal crack about halfway up the wall is typical. Often the horizontal crack will turn down at the foundation corners. 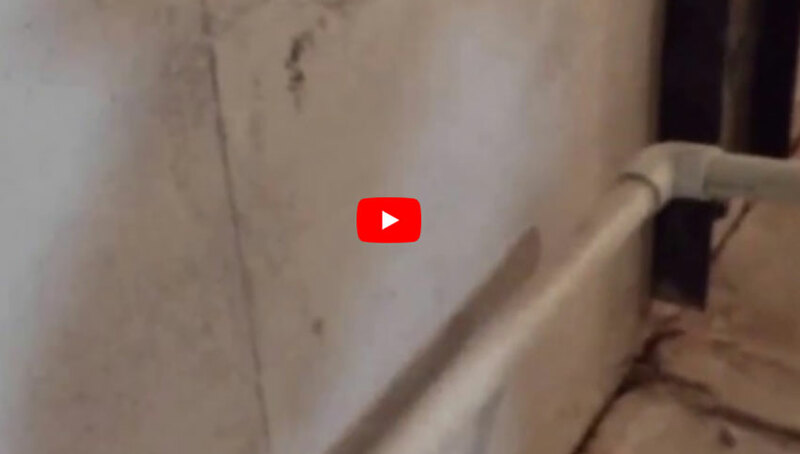 Leaning of the foundation inwards, frequently with older homes the connection between the foundation wall and the floor diaphragm is poor. This allows the wall to tilt inwards, rather than crack in the middle. If the basement is finished, you may see drywall cracking where the wall meets the ceiling or in the middle of the walls. Often you will see interior walls that are perpendicular to the foundation walls pushed sideways. 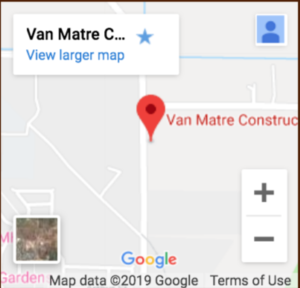 If you have brick veneer on your house, you may see the brick overhanging the foundation wall in the middle of a long wall and sitting flush with the edge of the foundation at the corners. Soil doesn’t just expand in one direction. When clays expand, they push in all directions, like a balloon filling up. Add the weight of water and liquefaction of soil to the equation and you have a recipe to push foundation walls out of plumb. 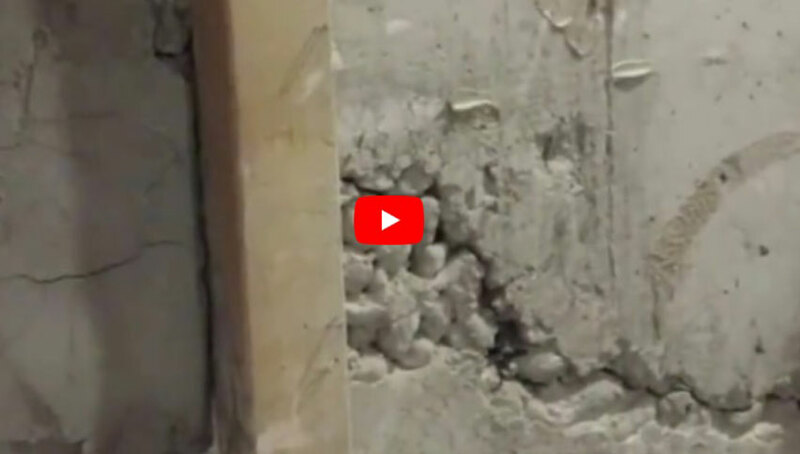 When a wall starts to lean form these forces, it is easy to check with a level if your basement wall is unfinished. Any new lean is of concern. If your basement is finished, look at the drywall where the wall meets the ceiling-a crack at this location can be an indicator. Another place to look is on the exterior of your home, where the foundation meets the siding or brick. If the overhang is greater in the middle of a wall than it is at the corners, it is often an indication that the wall has been pushed inwards. 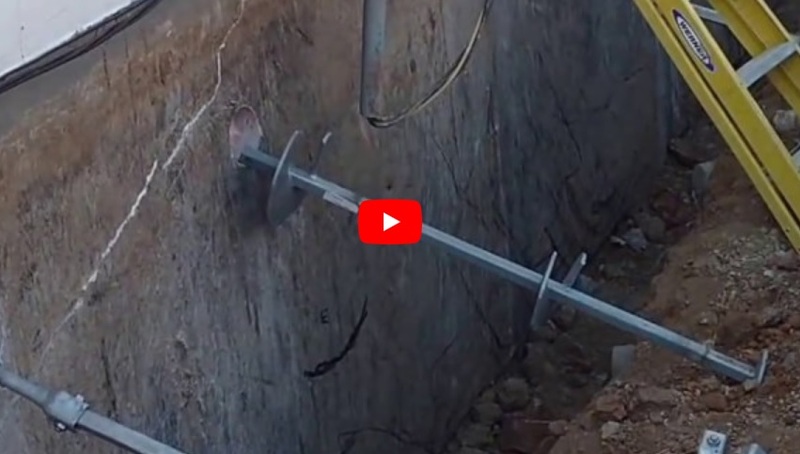 Any new lateral movement of a wall should be addressed and stabilizing a wall when it has just started to move is substantially less expensive than repairing a wall that has moved several inches. If you suspect your wall is leaning inwards, don’t wait! This home was amongst the worst we have seen while still standing! When the client called us, the wall was leaning at least 9”: that’s a lot of lean for a wall that is only 8” thick! To repair a wall like this, we must first temporarily shore the walls: a wall in this condition is truly on the verge of collapse. Bracing the wall is important to make the home safe to work on. Next we excavate the soil from the foundation wall, no amount of force will move a wall against soil. 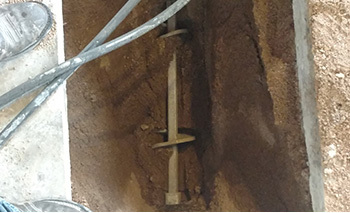 In this case, we placed helical piers through the wall, and drilled the piers outward, into the adjacent soil, with an approximate 15 degree downward angle. The piers are advanced until they reach competent bedrock, torqueing the piers until an ultimate capacity of approximately 50,000 lbs. per pier is reached. 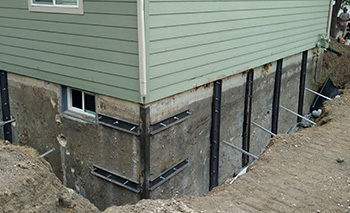 Once the piers are in place, the wall can be made vertical again, an exterior drain and waterproofing can be applied to the foundation, the wall is backfilled, and the lot is graded to slope away from the home. It is a lot of expensive work, but at the completion of a repair like this, the wall is strong enough I am happy to put my name behind it. 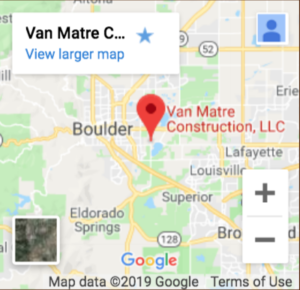 Watch the below videos to see progress and final completion of the foundation repair for lateral movement issues on a Arvada, Colorado home. When the walls bow, we typically rely on steel or carbon fiber bracing (depending on the incline) to address the horizontal damage. We also use piers to return the walls to its vertical position. There are other repair methods and various factors that you need to know about fixing horizontal damage. Please contact us if you have any questions or to schedule a free assessment. Call us today or fill out our short contact form.